Reliance Communications is going to sell Big TV DTH to reduce debt. Telecoms operator Reliance Communications Ltd (RCom) said on Monday it had signed an agreement to sell its direct to home TV service, Reliance Big TV in an attempt to reduce the debt burden. Veecon Media & Television will buy a 100 percent interest in the capital of Reliance Big TV Ltd (RBTV), the DTH unit of the Anil Ambani company, for an undisclosed amount, along with all commercial transactions and contingent liabilities. The existing DIG license of BIG TV will be renewed and around 500 Reliance Big TV DTH employees will be retained, RCom said in a stock exchange presentation. The agreement will help reduce the liability of unsecured creditors, the debt-laden company added. 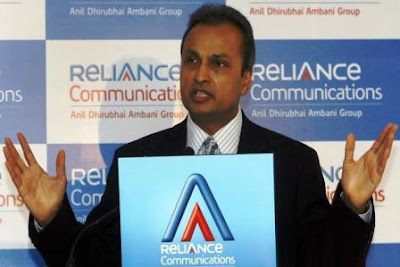 Reliance Communications (RCom) said Monday that the company has signed a Memorandum of Understanding with Delhi-based Veecon Media and Television Limited to sell its non-core DTH business. RCom said the MoU with Veecon Media And Television is for sale to 100% of the stake of its subsidiary Reliance Big Tv Limited (RBTV). According to the MoU, Veecom Media and Television Limited will assume all commercial and contingent liabilities of Reliance Big TV and will retain 500 employees. Previously, the company had announced, in a public notice, the closure of its DTH service throughout India as of November 18. "Reliance Digital TV informs its customers that, due to the expiration of our license, we will close our DTH services throughout India as of November 18. Customers are advised to make alternative arrangements to continue watching their favourite television channels. We regret the inconvenience caused, "Reliance Big TV had said in a regional print advertisement. Previously, the company made failed attempts to merge Reliance's Digital Services with Sun Direct. Several more attempts to sell the DTH service to potential buyers were also unsuccessful. The sale of its DTH services was part of the company's long-term plan to reduce its debt. RCom's net debt stood at Rs 45,000 crore at the end of March 2017.